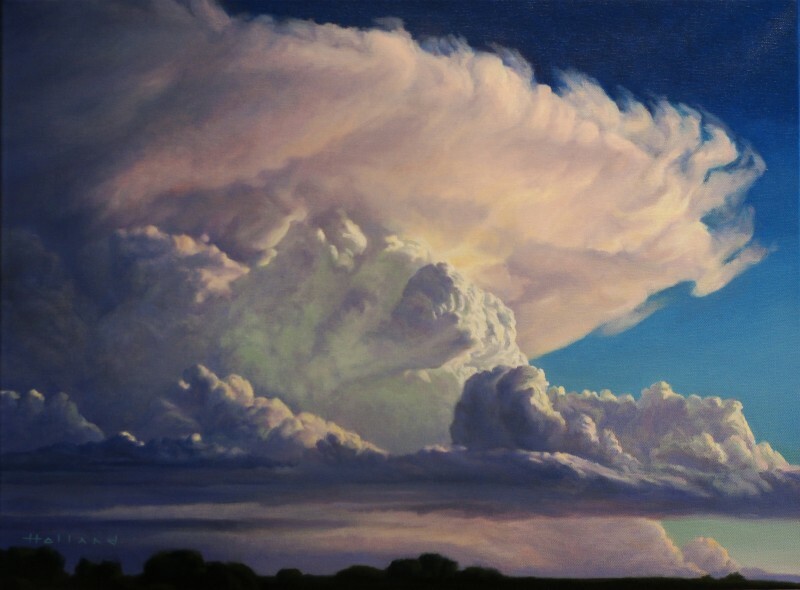 I capture the powerful beauty of clouds and storms on camera and translate their majesty onto canvas with brush and oil paint. 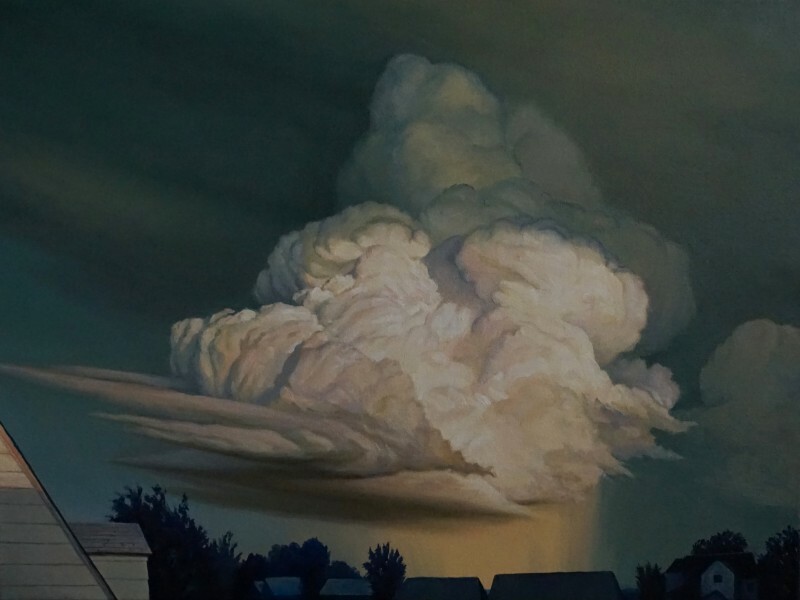 Each painting is an intimate portrait that reveals the structural elements and unique character of each storm cloud. 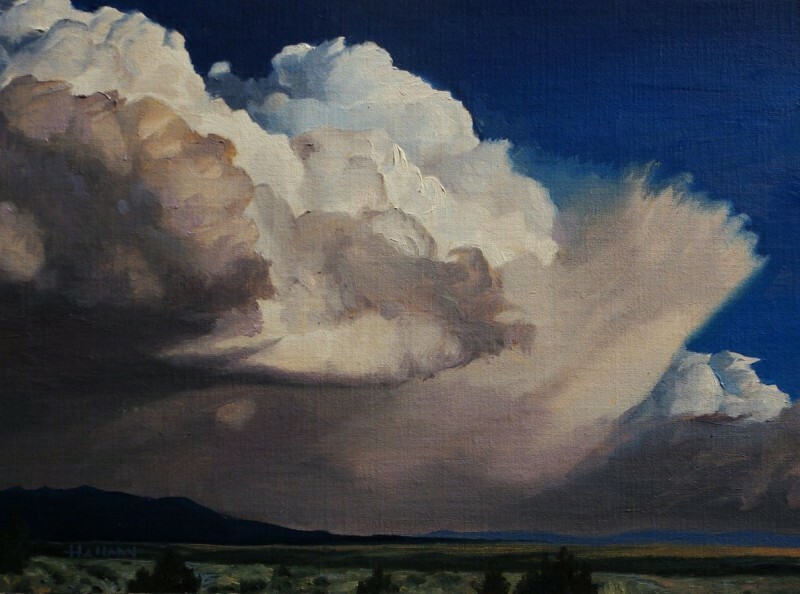 My visual representations of storms honor the physical process by which Earth’s life sustaining water is distributed around the globe. 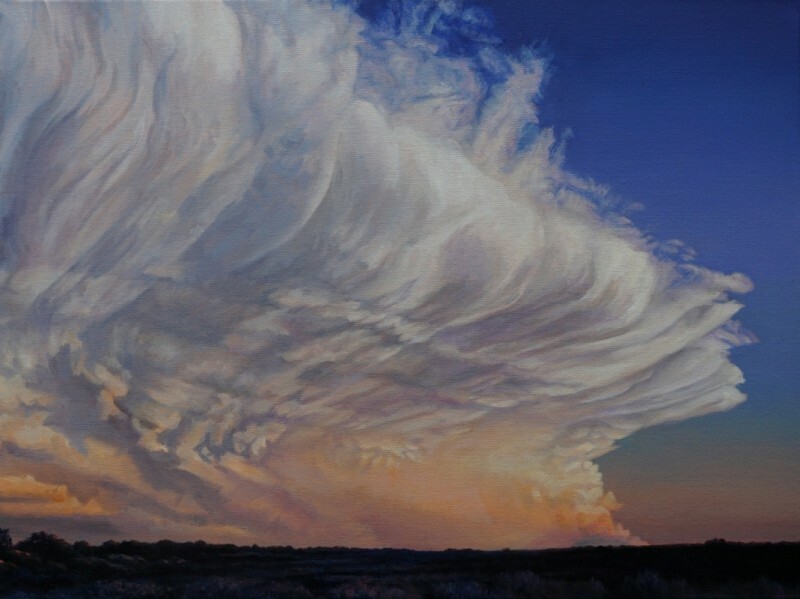 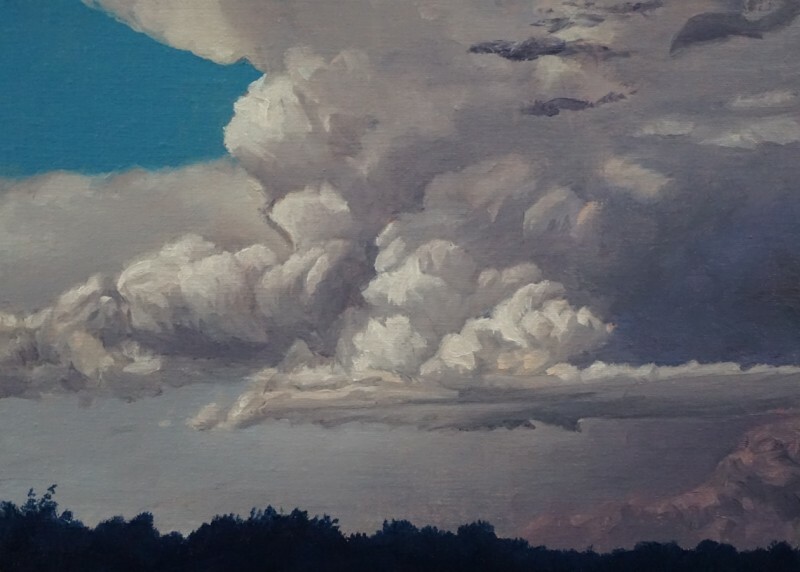 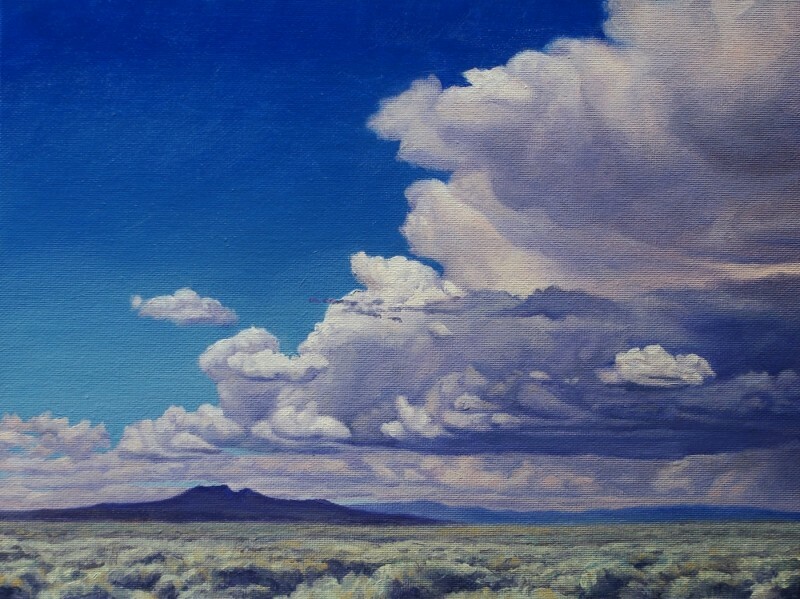 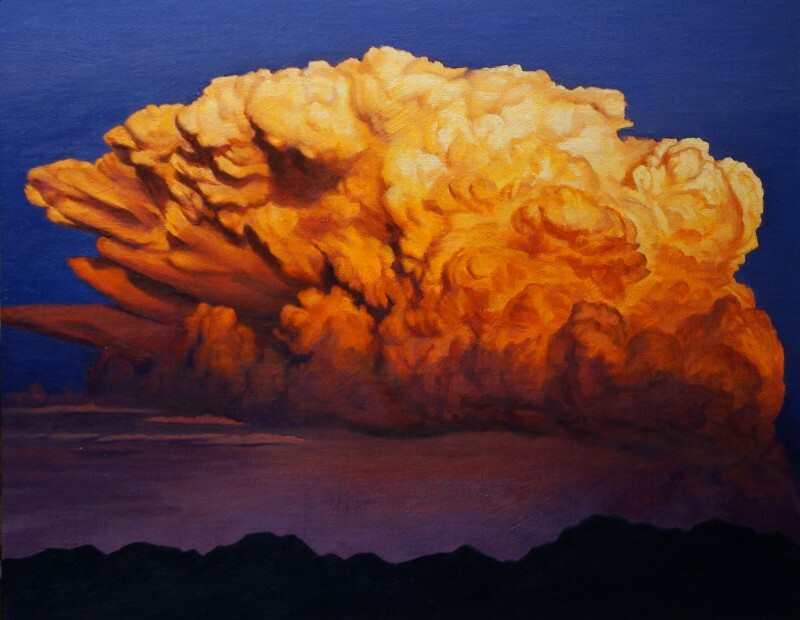 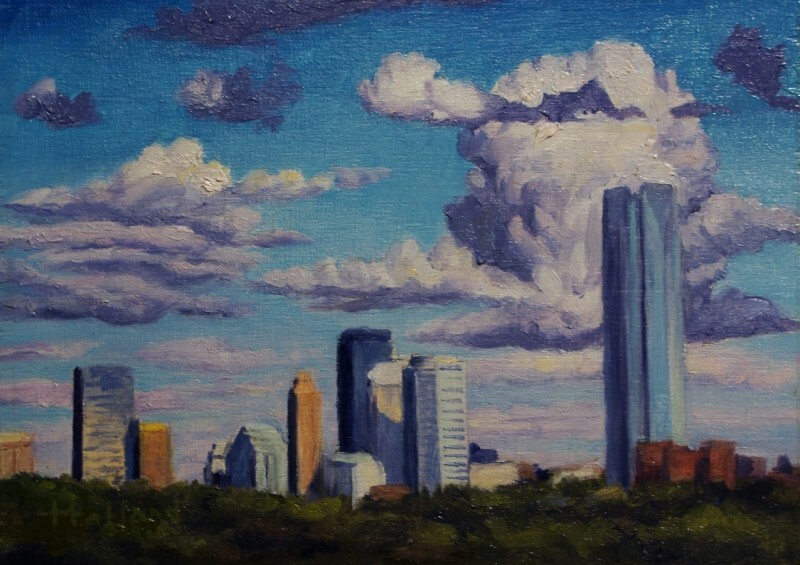 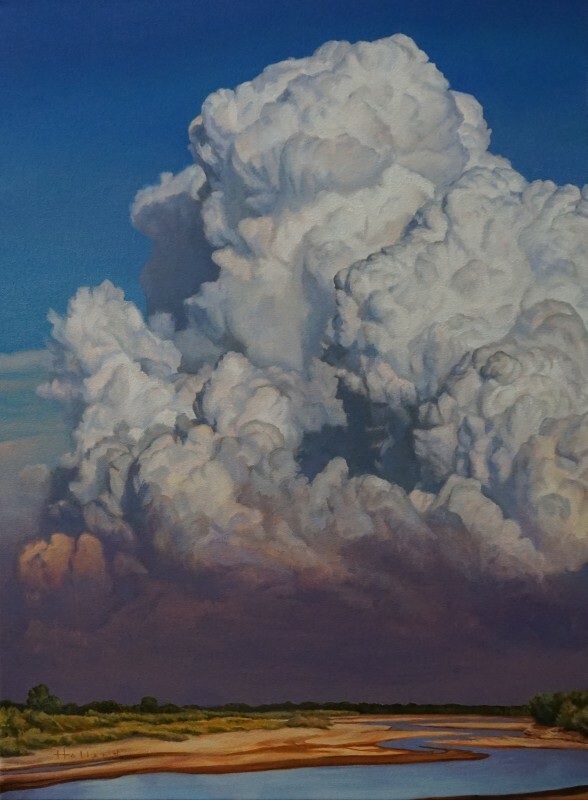 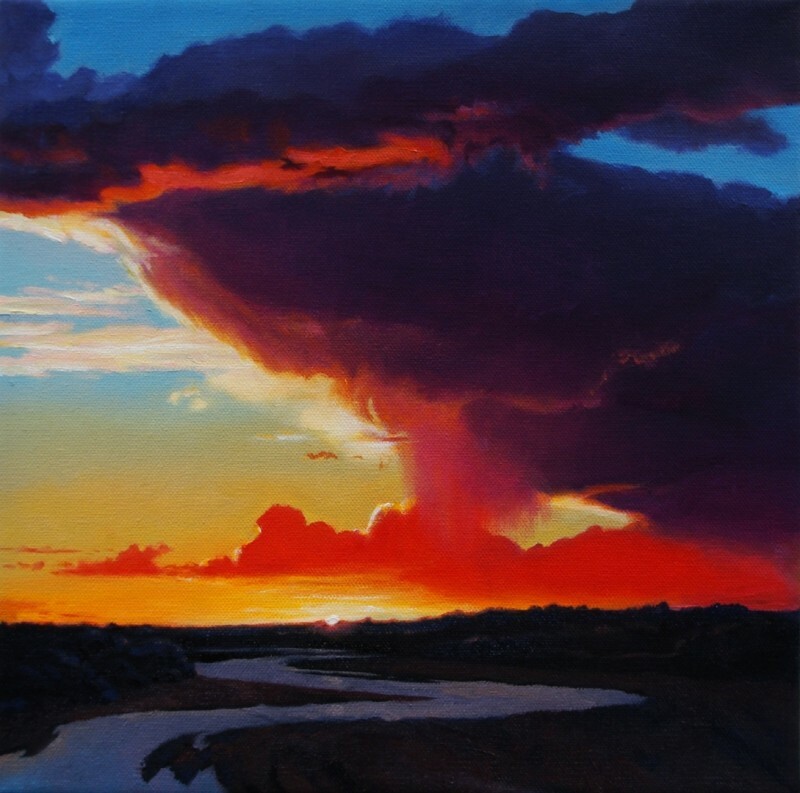 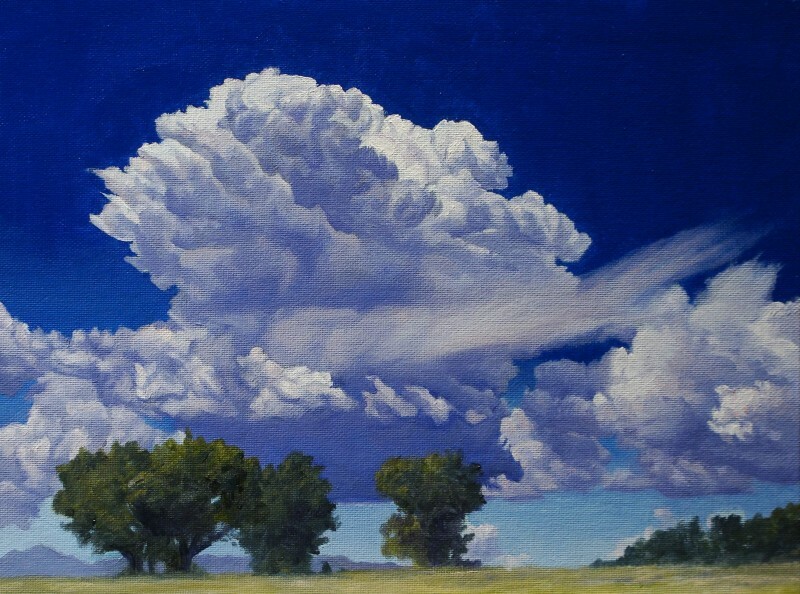 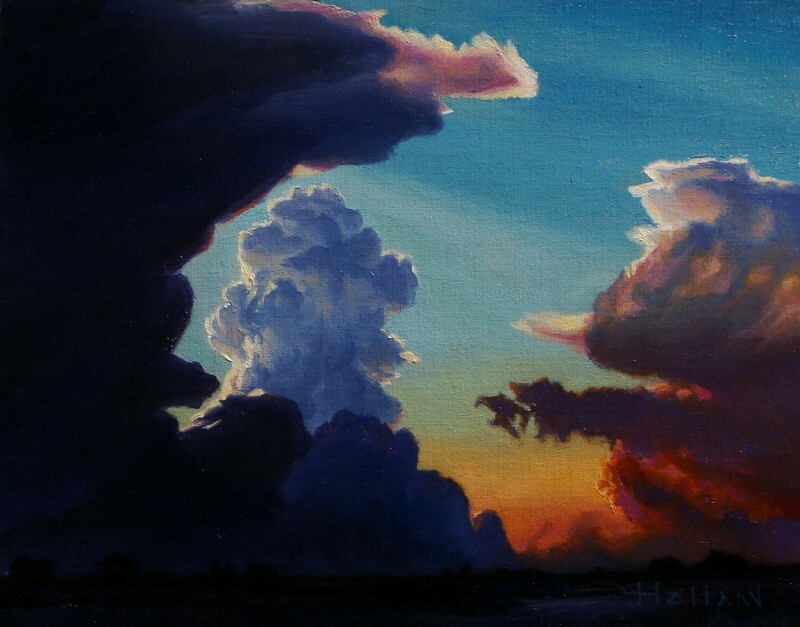 David Holland lives in the perfect place to pursue his passion for painting dramatic cloudscapes. 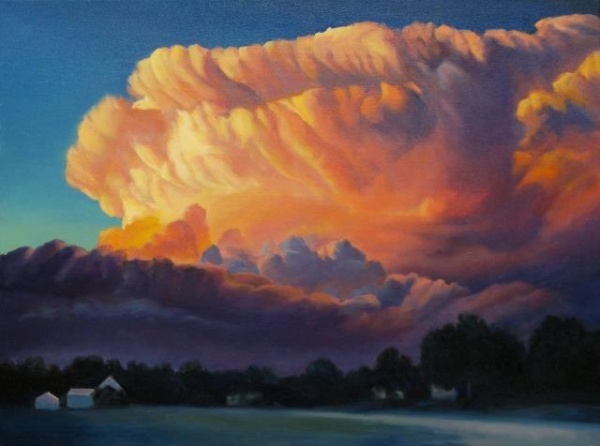 Every year in the skies above his home state, there is a clash of warm and cold air that creates spectacular thunderstorms. 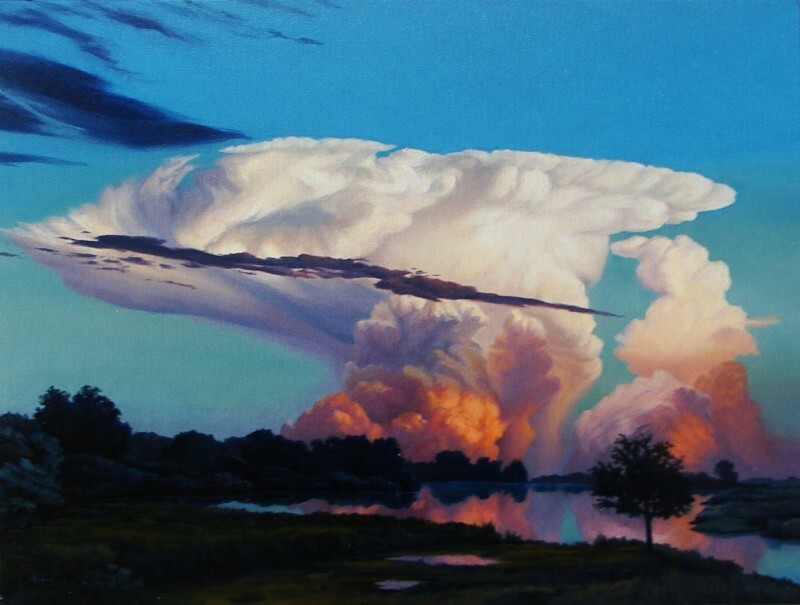 He captures these marvels of the natural world with his camera and uses the photographs to depict in oil paintings, the most dynamic storms. 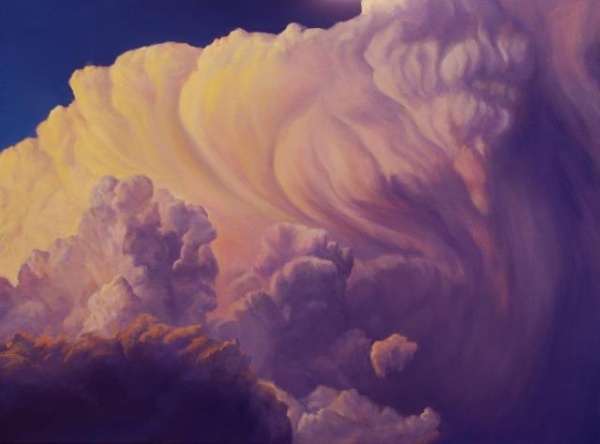 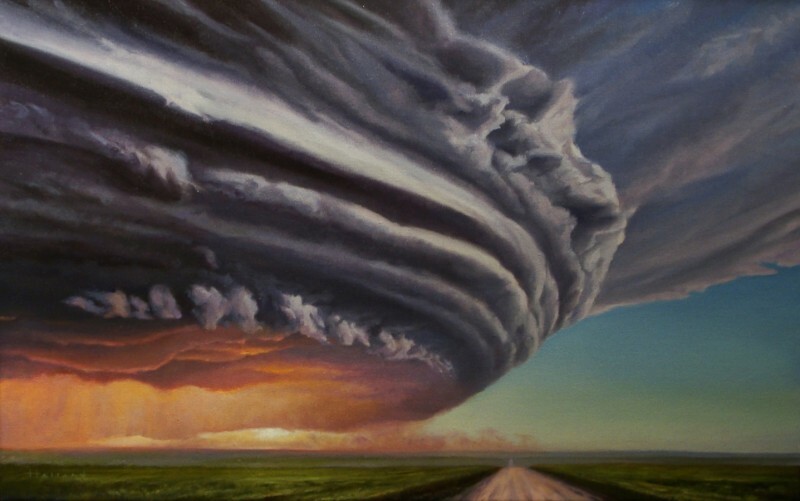 Every storm is unique and each of his paintings explores the essence and structure of an individual real life thunderstorm. 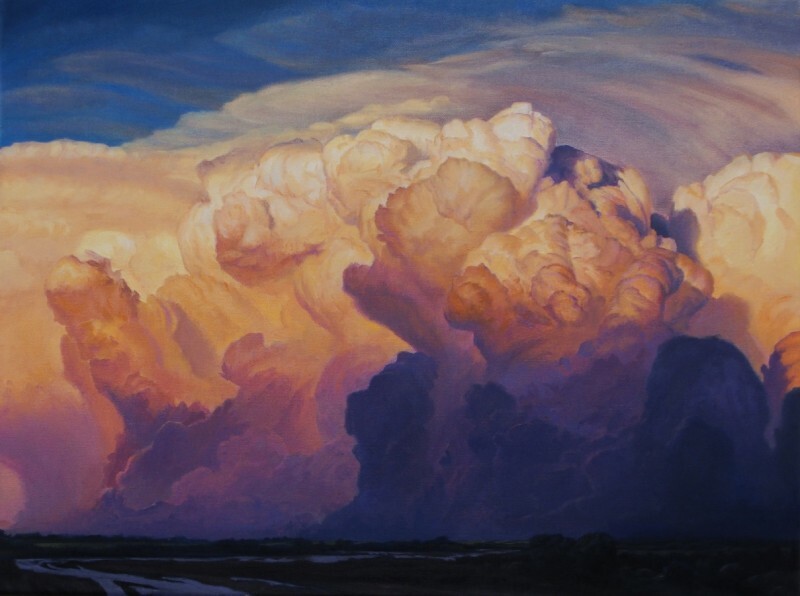 He reveals the individual character of each cloud system allowing you to see into them and feel the interaction of light, water and air that make up each cloud. 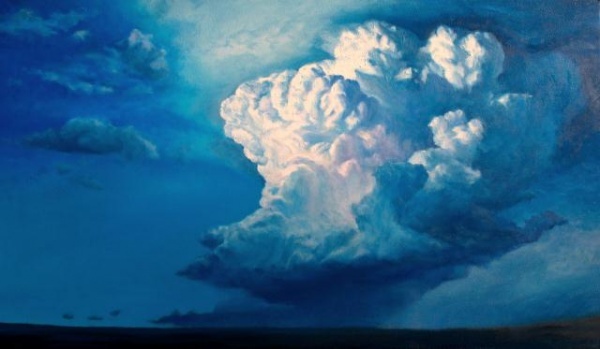 He lets you feel the presence of the life sustaining gift that each storm brings to us – water.